Did you know that out of all the states in India there are only 4 that are or major concern to most people? The reason most people are only concerned with 4 states is because of the heritage and the history that they have. Everybody knows that the biggest cities in India are Mumbia and New Delhi, but the fact is that they are in some of the greatest Indian states to have ever blessed this earth. If you don’t know much about India then now is the time to. 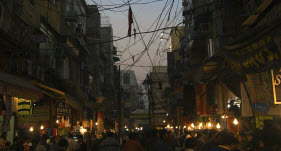 Delhi – The first thing you need to know about Delhi is that is one of the biggest cities in the world with just over 12 million people in the territory. Delhi is known for it’s temples, architecture, people, cultures and most notably Qutub Minar which is the world’s tallest free-standing brick Minaret. Another thing you should know about Delhi is that New Delhi is the capitol city and is one of the most visited places in all of Delhi. Goa – What most people will notice when visiting Goa is that it is the smallest state in India in regards to area and is the forth smallest in regards to inhabitants. Even though Goa is small it is still widely visited because of it’s renowned beaches and the many places people can come and worship. Something most people don’t know about Goa, India is that it is India’s richest state per capita. 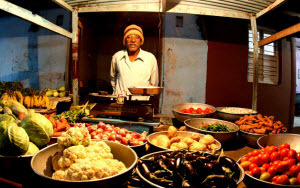 Gujarat – What nobody really knows about Gujarat is it is the home of one of the most well known Indian to have ever lived, Mahatma Gandhi. Gandi was more than just a famous person in India in his 78 years of life, he was a leader and a role model to everyone. It was because of Gandhi’s work and that of the fellow Gujarti’s that they were able to make Gujarat the fastest growing economy in the country. What most people don’t know about Gujarat is that it is the most industrialized state in the country. 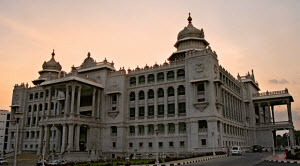 Karnataka – Karnataka is one of the newest states to be created in India with only being started in 1956. What is nice about Karnataka is that it is home to Bangalore, the capital of the state and that is why there has been so much growth in the economic and technology industries in India. What most people don’t know about Karnataka is that it was home of some of the most powerful empires in all of India and still holds very powerful men and families. All of these states are more than just states in India, they are all up and coming states in the world, not just that country. If you think that you want to travel to India then you need to visit these states and some of their major cities because just hearing about their beauty and all the things to do there just isn’t enough. Just know that when visiting India there is more than you will ever be able to see on just one vacation so you better plan ahead and see all that you can.